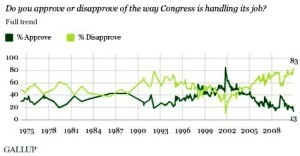 The approval ratings in Congress and other branches of government display a disturbing trend, especially within the past 10 years – down more than 50% from the 2002 high of 75% approval in Congress . Survey data indicates that the american people [MS1] are not identifying with the way the government is being run, however trying to interact and communicate with the system has not seemed to help. The public today has so many more outlets and ways to contact their representatives compared to just 15 years ago when internet use was minimal. This new stream of communication has not yet resulted in better relationships between the governed and governing. In 2004, Congress received nearly 200 million contacts from the public, more than four times the rate 10 years prior due to greater access of internet communication . Neither the constituents nor congressional staff have found a unified method to solicit and utilize input from the constituents and community organizations in an effective manner. The public officials, constituents, and advocacy organizations need a better communication platform and an improved system to interact collaboratively in order to address today’s issues. The If I Were President model addresses the most pressing issue facing this and every great nation: the need for improved political representation and constructive, cooperative dialogue. There must be improved methods of discussion and a more effective way to generate sustained civic engagement with government. If I Were President provides a system that allows constituents to become easily involved in a constructive and fair community to develop solutions to problems around the nation and world. The networked community will concentrate and effectively reduce the rising number of requests made to elected officials by collecting these ideas into well-defined and documented proposals. In place of the current one-way communication pattern and the vertical system of power and influence on policy, the If I Were President model enables interactive discourse and creates a more horizontal playing field for the proposal and development of legislative initiatives. The If I Were President website is a user-moderated platform for a form of local-to-national ‘direct democracy’ that enables proposals for new Bills (laws, regulations, programs, etc.) to be developed and implemented collaboratively with a community of supporting constituents, organizations and public officials. The aggregation of the users’ input will generate concentrated and well-defined proposals, as opposed to singular input methods that have been used up to this point (individual phone calls and emails, or identical-form mass-messages through existing projects, organizations, and websites). The consolidation of constituent and organization input will ease the load forced on governmental staff to respond effectively, thus creating a strong social advantage as a system that will reduce the workload of legislative staff. Constituents and organizations will now have a unique platform to establish influence, with potential to gain support for initiatives, providing an immeasurable social service. By collaborating on issues and proposed solutions, the public can work with supporting organizations and public officials in order to develop and implement the Bills and projects that are established through the If I Were President Website. The interactive voting, open-source structured debate, and collaborative development of proposed solutions to issues represents a fundamental form of direct democracy and civic engagement. It is now easier than ever to suggest new ideas for improving your communities, and to get these ideas from early-stage Proposals all the way up to Bills on the “Presidents’ Desk,” and ultimately in to the hands of the public officials. The If I Were President [MS2] program aims to bridge the communication gap between the government and the constituents with a forum for generating realistic proposals for making improvements in government; it improves education about legislative initiatives, and promotes participation in the governmental process. Boston, MA represents the first community in this project, with the potential to replicate the process in democracies across the world. The platform can easily be scaled to any level, from national to local and even school level (ex: “If I Were President of Northeastern University”). Involvement from the community and outreach to public officials will encourage participation as a way to improve the officials’ outreach and understanding of their communities . The team workingon developing the program includes a strong cohort of supporters from various backgrounds, comprised of business managers and an entrepreneurial director, marketing and social media specialists, graphic designers and creative directors, a video producer, and technical expert/web developers in addition to experienced web designers from private firms. Professional mentors include a President of a Venture Capital firm, Professors from Northeastern University’s School of Public Policy and Urban Affairs, Computer Science Department, Political Science Department, and the School of Law, local advocacy group leaders, politically-active community members and previous campaign managers and PAC committee members. Partnerships with advocacy and community organizations are well under way, and collaboration has begun with student groups from universities to middle and high schools in the area. To date, there has been significant investment in If I Were President, Inc to secure domain names, establish the legal entity, and fund the design and development of the prototype Website. The social services provided by If I Were President include improved communication and interaction between the people and their governments, and more efficient outreach methods for the elected officials and their staff. There will always be legislative initiatives and programs working to promote a better standard of life and improved functioning of government. The need for public engagement in the government process is a constant and iterative process. Solutions to issues at the local level present the clearest and most readily accessible ones for developing and implementing, while proposed Bills at the national and international levels require more significant investment of resources in order to develop adequate support and documentation. The use of the Website (“the Site”) will be completely free in order to promote participation. Organizations, individuals, and elected officials will be urged to become involved in the democratic process through involvement in the Site. The purpose of the If I Were President project is to support civic engagement and promote issues and solutions-based community discussions. Support for the Bills and ideas generated on the Site will be generated through user response and participation in developing the idea. “Experts” will be motivated to contribute details to worthy proposals and in the future the Site will provide a mechanism for engaged parties to donate towards specific initiatives/campaigns and proposals. Constituents and Organizations will gain improved accessability to the legislative process, and elected officials can use the platform to channel their outreach and communications efforts. The Site will provide valuable services for these public officials by acting as a platform for showcasing voting history, press releases and reports, assistance with communicating with an Office, and general info. The use of social media tools by congressional offices has risen exponentially, and a politically-focused social platform could provide great benefits in connecting the various parties and governing bodies . In order to fund development of the If I Were President, Inc. company’s programs and keep the Site dynamic and responsive to user feedback, revenue will be generated through several sustained initiatives. The primary source of revenue will come from sponsored (“advocated”) Bills, similar to a Google or Ebay ad (Google Ad-Words). Secondary sources of revenue include sponsorship of competitions (campaign contest using the Site’s platform – a “Call for Proposals”). The third main revenue source, and the most important in the early-stage growth of the program, is the standard non-profit in-the-streets fundraising campaign, which will be complimented by the “Chalkboarding” model described in the Go-To-Market section below. A longer-term financial model includes the collection and analysis of data accrued on the website. Once significant data has been collected, this information can be shared openly with the community, and sold in packaged and analyzed reports for use of any interested user (primarily organizations and public officials). In order to create a model that generates grassroots participation, the outreach strategy involves significant interaction with all main forms of political participants, as noted in the Go-To-Market section of this plan. Change.org presents a very similar business model and is able to attract over 200,000 daily page views, or enough to generate over $600 in ad revenue daily (if they chose to host ads, which they do not) . The White House’s “We the People” petition platform is also a similar program to Change.org, allowing users to offer petitions to various issues. The “SeeClickFix” application is another interesting program that allows community members to report local problems and request the municipality to address them. Other similar iniatives are discussed in the following Market Assessment. The sponsoring (“advocating”) of a proposal on the Site is a unique feature that allows increased visibility and interaction for a user’s Bill posts while generating modest revenue over a wide number of users. This internal ad model, similar to Google or Ebay ads, allows any user type to push an initiative to the top of pages and reach a wider audience, thus promoting their content at a fixed and limited rate (level field for all). Another form of participation that may potentially also generature revenue in the future is a Kickstarter-style supporting process. This concept, a project-based funding model, is currently being investigated as a potential feature for the Site. It would give users the ability to support a Bill either financially or through service (pro-bono) if it reaches implementation (is passed by Congress or appropriate government body). This is separate from advocating the proposal on the Site through the internal ad system, which is simply meant to promote content within the Site. Similar to Kickstarter, users that provide financial support towards the implementation of Bills can receive an If I Were President t-shirt and other goods and special services based on their contribution(s) to various campaigns (if funds are used for development and implementation of the proposal). For example, a user/organization/elected official could indicate that they would donate to a particular project, and if the project reaches the implementation phase the user would confirm they still want to donate to the project. This program might also be funded through memberships with the municipalities. A reward system will encourage participation in the platform. Frequent users and participants gain acknowledgement through a structured system based on technical contributions towards developing proposals, and top users will be listed in various locations throughout the Site respective to their participation. As “experts” are identified, the community will benefit from their participation and input. The organization has currenty invested approximately $50,000 into the incorporation and development of the platform. As of July 2012, the beta version of the website, grassroots campaign model, and s-corp and non-profit filings have been completed. One pitch video and one ~5 minute promotional video have been created for marketing and outreach purposes, in addition to the design of several info-graphics to help illustrate the Bill process and functionality of the website. Most of the significant investments to-date have been sunk costs, leaving mainly variable expenses that will grow with the program’s expansion. This allows for healthy and sustainable operation when revenue is generated in parallel through the three main revenue models as described in the Financial Projections and Outcomes section. The total size of the market for the first phase can be expressed as a function of the US population of over 300 million people. In addition to seeking the participation of voting-aged constituents, the program will also seek to obtain input from school-age citizens in order to promote a wide-reaching audience and ideas from a broad sample population. The organiation will generate significant public opinion data that can be analyzed by interested individuals in order to gauge the public’s attitudes towards specific issues and potential solutions, as represented by the various demographics. After implementing and de-bugging the project in the US, the project has potential to be replicated in other nations around the world. In as much, the market audience has the ability to grow to the population of the world that has access to computers and internet (greater than 3.5 billion people). With the 90-9-1 participation rule-of-thumb in mind (90% viewers, 9% limited contributors, 1% heavy contributors), it is our hope that the platform will encourage participation from the 90% through the simple reading and voting processes, the 9% with the pro/con and amendment components, and the 1% through the writing and editing of Bills . The particpation of organizations (community and advocacy groups) is also integral to the success of the platform, with thousands of advocacy groups in cities across the world. When addressed more definitively, the target size of the US market can be compared to the number of constituents that are currently active in the democratic process. As previously noted, the government received over 200 million communications in 2004, and this number is only increasing . In 2012, there will be an estimated 300 million web-based contacts made to Congress alone – an average of 1 per citizen. Yet there are many constitunets who did not send any messages, and some that sent many. Over a 5 year period, nearly half of the population sends at least one message to Congress (not to mention all the messages sent to local and state-level legislators) . Assuming that the average communicator sends between 2 to 10 internet communications, this translates to between 30-150 million individuals per year searching to participate in the Federal Governmental process through some means of civic engagement. Another way to examine the engaged citizens is to review voter turnout records. Apathetic constituents can be classified most easily as those who neglect their right to vote in Presidential elections, or approximately 45% of the public . Therefor the number of US citizens interested in engaging in the political process can be expressed as the ~ 55% of the population that take advantage of the right to vote. [MS3] An encouraging sign is the recent involvement in the electoral process, with the engagement of minority parties resulting in nominally higher rates of voter turnout for Presidential elections. This trend shows that perhaps more people are becoming engaged in or interested in the political process. As computer and internet access become more readily available, an online forum such as If I Were President can quickly and effectively establish a strong community of input from a representative demographic, while providing invaluable public opinion information and engaging previously-apathetic or disillusioned constituents . The average user of the If I Were President platform is a citizen of any nation that has input on how their community can improve social conditions and the standard of life. Most anyone would agree that there are policies to adjust and societal improvements to be made across the world, and, in turn, many individuals would be interested in the If I Were President process for expressing their views more directly and effectively to their elected officials. Those citizens that are actively involved enough to reach out to government through phone calls, emails and letters currently represent a minority of the total constituency. By simplifying participation in the government process, we anticipate a higher percentage of constituents will exhibit interest in the discussions and creation of new proposals for social change. In addition to the average citizen, the If I Were President project aims to gather input from politically-focused organizations. There are tens of thousands of such organizations, from the local level to national groups. A detailed database of these organizations is being compiled and will be continually updated in order to reach as many organizations as possible. Compiling this database of potential users includes collecting contact information for the over 300 Federal Government Agencies, 50,000 local and national civic organizations, and 500,000 local and national elected officials . It is important that the organizations are representative of the population, so the team will work to establish contact with as many reputable groups as possible from all different perspectives. By supporting the organizations’ missions through advocacy of their ideas and proposed Bills, the organization and their members will be encouraged to support the proposals on the Website and to utilize social media to promote the content. The mutually-beneficial collaboration between organizations and IIWP will provide for very effective partnerships. There are several initiatives similar to IIWP that work to engage citizens in advocacy, participation in government and the legislative processes. Yet the functionalities of these programs are not comparable to those of If I Were President, and no existing programs have been effective at attracting significant participation from individuals, public officials, and community organizations. Change.org is useful for promoting simple local to international issues and solutions, but has not gathered support from political officials and more importantly provides no capacity in the Site for collaborating on the development and implemention of the initiatives. Users can only submit text, and the proposals are written by only one individual. The White House created the “We The People” forum as a way for people to petition the government for social change initiatives, however this program also fails to garner widespread participation from the public, political organizations, and elected officials. And again, this program offers no way to provide detailed information regarding the petitions (in the form of supporting documentation, references, etc.) which detail the process for implementation. 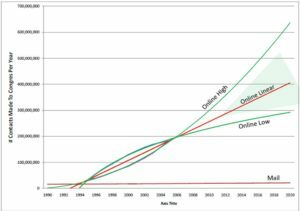 For the purposes of this analysis, only internet-based initiatives are compared and analyzed for competitive assessment. There are some non-internet-based platforms for political discourse and civic engagement, mainly consisting of think-tanks and other conglomeration-based organizations that unite similarly-focused groups to create a larger lobbying body (PAC’s, for example). These organizations are considered potential partners for the Site, as they stand to gain representation and viewership by maintaining a presence on the If I Were President platform. Change.org is a website-based initiative only that allows users to sign petitions from the local to international levels. In terms of the User Interface and Experience, Change.org does not allow for users to collaborate on ideas, to provide supporting documentation and resources that back the technical details, and also do not allow for a dynamic commenting and rating system – users can only sign petitions, and there is very limited engagement potential for those interested in truly advocating and acting on a specific petition proposal. The layout of the website is not easily searchable and navigable by topics or locations, and there are a limited number of petitions that gain serious support. The website is effective for small movements or political pushes, but not true reform and problem-solving. For example, one of the highlighted achievements of the Site was the push to get Bank of America to scrap the $5 banking fee in 2011 . Other petitions include ones specific to company issues (conflict-free product pushes , internet censorship [SOPA] , etc. ), and issues that are not related to government functioning. There are also political campaigns such as one for NH state legislators to not repeal the freedom to marry . These petitions are for black-and-white concepts, things that can be solved with a “yes or no”. There are countless more intricate issues to address that are not so simple, and that involve detailed analysis and documentation in order to support – for example, a taxation policy, or a movement to improve bike facilities on a road. This inability to elaborate on details prevents a significant number of ideas from being put up on the Change.org website. The White House has created an online petition webpage called “We The People” . This online program allows anyone with a confirmed email address to create and sign “petitions”. These petitions pertain to political issues, such as a call to “Ensure that every child in America has access to an effective school library plan”, and to provide a “Balanced Approach to Reforming the Postal Service”  . These ideas, while essential and realistic proposals, are not substantiated with evidence for their support due to lack of website infrastructure. The Site only allows for an original petition, and no way to edit, comment, collaborate, etc (no way to debate and discuss details and see what topics/proposals are trending in the population). One of the few White House’s “success” stories comes in the form of a response to petitions that reach the threshold number. The only success story that the Site currently boasts is “Taking Action to Reduce the Burden of Student Loan Debt”, an issue that the government addressed most likely not as a result of the participation from this website but from outside advocacy . The user interface and experience for this page are also very unappealing and difficult to manage and manipulate. SeeClickFix is a mobile and web-based application that easily allows individuals to identify via photo and geo-tagged location issues in their community – for example graffiti on a wall, broken lights, etc . The program aggregates these issues and creates a platform for identifying the biggest issues in the communities, and presenting them to the departments within the cities responsible for the issues. PolicyMic, aGreaterUs, MakeYourLaws, ElectNext, AmericansElect, and other such similar platforms are working to open the door for easier online, representative participation. Each of these models represents a unique solution to attracting participation and influincing change, and the If I Were President developmental team has analyzed each thoroughly, working to adapt and incorporated the best practices of each. These platforms offer a wealth of learning opportunities, as many have been working in the e-democracy arena for many years. The If I Were President platform differentiates itself from these initiatives in the scope and implementation of the mission, in addition to the design and function of the website and grassroots outreach programs. America Speaks is an organization that expresses its mission as “Engaging Citizens in Governance” . Their mission is to “reinvigorate American Democracy by engaging citizens in the public decision-making that most impacts their lives” by giving the citizens a ‘voice’, mainly through the 21st Century Town Meeting  that has engaged more than 160,000 people from the US. The website lacks any form of blog (only select people can post article-style comments), and there is no measure of public insight and opinions; while the mission is similar, the content of the website and process to attract input is completely different and not nearly as interactive a system. GoVote.com is another politically-focused platform that “help[s] every voter become more engaged by providing the easy ability to discover, participate and influence the politics and elections…”, and encourages users to be active in the democratic process by voting . There is no open blog, but users can ‘advocate’ for their ideas by sponsoring advertisements and having viewer/respondent data sent to an elected official or organization. Opportunity Nation (“The Shared Plan to Restore Opportunity”) offers a “…campaign to promote opportunity, social mobility, and access to the American Dream” and consists of a coalition of almost 200 businesses, non-profits, education institutions, and military organizations to create better skills, jobs, and communities. Organizations such as this can be viewed as competitors in some senses, but they are the exact advocates that represent the target market – the organizations whose motives and ideals can be promoted through the use of the If I Were President Website in order to increase their membership and outreach capacity, akin to a form of social media. The New York Times published an Opinion article called “If I Were President” . This article addressed the same approach as the Website will in collecting views from ‘ordinary’ citizens about what they would do if they were President. The article created a considerable stir in the media community, and was the subject of a refuting article that describes the misconceptions associated with the idea of ‘If I Were President…’ proposals . The key difference in the editorial article versus the If I Were President platform is in the user base, which will produce a much more representative democractic process with meaningful and tangible proposals. By analyzing the processes and functions of the aforementioned projects, the If I Were President program will adapt the best practices and attempt to create a very user-friendly and interactive system. A full SWOT analysis is an ongoing process that the organization is in the process of developing. The If I Were President venture will address the needs of improved communication between constituents, elected officials, and political organizations. This need encompasses not only the direct communication, but also the proposal and development of new and innovative ideas to help improve the functioning of government and society. By establishing a platform for this discourse, the Website will enable the advancement of new ideas in addition to creating a more clearly-defined and accessible means of expressing opinions and social trends for elected officials’ consideration. The Site is a constantly-developing program that will continually adapt to the users’ needs based on the input gathered through the forums. Once an effective site and community has been established, the platform can be easily copied to other functions (be it another country, a school or university, business, etc.). The value created for the society that embraces the forum can be represented as the social change that results from the users’ inputs – how much the elected officials and decision makers take the proposals into consideration and act upon them. If constituents, political organizations, and elected officials collaborate on the proposal and development of social change projects, then the government will function more effectively and with higher approval ratings. In order to quantify the social indicators and metrics used to examine the effectiveness of the project, If I Were President will monitor and evaluate three key outputs. These goals (outputs and outcomes) represent the core of the social change metrics that will be used to evaluate the effectiveness of the project. The outputs can be measured quantitatively, whereas the outcomes are more qualitative and will take longer to have the desired effect on the system. The social impact embodies the changes made to the social system that are a direct result of the project. In the case of the If I Were President project, the current state of the democratic process involves constituents input in governmental proceedings including direct communications with elected officials, lobbying through PACs and political organizations, and voting rights held by the individuals. More recently, elected officials have engaged in Town Hall meetings and utilized social media outlets to connect with more constituents, however these outlets are only a starting point of the future of civic engagement. If there was no If I Were President platform, constituents and organizations would continue to lobby and contact their elected officials as they currently do, spending millions of dollars and hours in the process. For simple social movements, sites like Change.org would be the main outlet for swaying public and elected officials’ opinions. The intent of the improvements to the communication system are to reduce the number of times that congress and legislatures are contacted by the people. In order to accomplish this, the site aims to consolidate these requests and generate Bills that become well-defined through the contribution of other users and relevant experts as moderated by the Site. This impact can be measured in the reduction of communications sent to Congress and legislatures (based off a future report by the Congressional Management Foundation), and also by the significance and attention given to the proposals by the elected officials and decision-makers. Another indicator will be approval rating changes for elected officials, however this impact will be difficult to quantify as a result of the If I Were President platform. Another interesting metric will be the number of constituents engaged in the If I Were President platform that neglect their right to vote. The demographic info will provide very interesting data that can be analyzed for various investigations, depending on how successful the site is at gaining participation. Over 200 million contacts via online form were made to congress in 2004 , and approximately 300 million are expected in the current year of 2012. One way to measure the social value of this project is in the potential reduction of messages and communications to Congress and local/state level elected officials that will result from the consolidation and collaboration of users. Another significant social value result of this platform that is more difficult to quantify is the improved representation and access to policy-making for constituents and organizations. For the purposes of this analysis, only the quantifiable social outcomes are examined. If Congress receives 300 million messages this year, and a majority (i.e. 90%) are identical-form messages, that yields 30 million unique messages to read and respond to in 2012 alone . If the If I Were President platform can consolidate just 1% of these messages, this would result in 300,000 fewer messages to Congress alone. If the average legislative staffer can read and respond to one message per minute, this reduction would save 300,000 minutes (5,000 man-hours). The average wage of a legislative assistant ranges between $15 to $30 per hour, which gives a saving of between $75,000 to $150,000 per year on the national level only . The time saved by consolidating these messages will have significant and measurable savings to the government, both on the Federal level and also state and community level. The above calculated saving does not include consolidated messages to local and state-level governments, which represents a significant portion of the social value but cannot be measured quantitatively due to lack of historic data of communication activity at these scales. If the number of online messages to Congress remains stagnant for the next 10 years (despite upward trends), the projected savings from the program could be as much as $750,000 to $1.5 million over the next 10 years. Again, this value does not take into account social value for the state and local levels, which could easily more than double the platform’s overall social value. This value also does not include the social value to constituents, which comes in the form of increased representation and improved access to the legislative process. The Website development began in February 2012. The front-end development will include a site map, wireframes of all the pages, detailed UI/UX specifications, and blueprints. The total cost of the front-end development for phase one and two is approximately $10,000 for all the wireframing and UI/UX work. The front-end product will then be coupled with the back-end development, which is being completed as of July 2012 (started in March 2012) for approximately $15,000, bringing the total for the creation of the first phase of the Website to about $25,000. The front-end design is extremely important in that a clean and user-friendly experience will garner immeasurably more use than a poorly designed experience. Significant effort has been put forth to ensure that best practices are analyzed and incorporated into the functionality and appearance of the content. This was accomplished by investigating similar initatives and programs, and adapting features and styles that prove most effective. The back-end development for the voting-style platform will utilize open-source coding and leverage any third-party applications and software that can optimize the development time and cost, on a WordPress platform. Registered users will have the ability to approve or disapprove of Bills, and the highest-rated Bills will be shown starting at the top of the page. The functions detailed in the planning documentation will fully describe the requirements for the UI/UX. The development process is highly based on user interactions and feedback, and will undergo countless iterations before reaching the milestones. The first phase will include all of the aforementioned details for the 3 types of users (and visitors), a user profile feature, robust search engine and sorting capability, and a section for tongue-in-cheek “funny” proposals. These components add to the Site’s dynamic support system that pushes the most-highly supported Bills to the tops of the respective agendas (issues). The Site will provide the capacity for each Bill to be developed by the author, any co-authors, and experts and organizations through text responses, video submissions, supporting links and uploaded documents. As the Site evolves, the participation from users will inform how to best integrate new features for the Site to facilitate the collaborative development of the proposals; the development of the platform will be a continually evolving process in order to constantly improve user experience. A visitor to the website is able to view any and all pages and content, vote anonymously, and offer pro’s, con’s, and amendments. However, in order to submit proposals, a user must first log-in to the system. Users either register as an individual, organization, or elected official, each with unique privileges. An individual can initiate proposals and vote on them, in addition to co-authoring a Bill with another user. Organizations can also author or co-author a Bill proposal, however instead of voting an organization can pledge support for the proposal (in the form of outreach, in-kind, montary, etc). Support from an organization can be as simple as noting that your organization’s mission is in line with the proposal, or can involve promoting the proposal via social media or outreach campaigns, and even financial support for development of a proposal where appropriate. Elected officials can also initiate a Bill, co-author with another user, or Support just as an organization can. All users will have the ability to easily share via social media outlets, as will visitors to the site. The user experience for the website must be very clean and easy to follow. The landing page includes the Site’s Top Agenda, which is a list of the most highly rated Bills. When you arrive on the Site you are immediately on the master page format, with clear options to search or navigate by issue, department of the government, or location. When a visitor or user goes to investigate a proposal that stands out, instead of launching new pages when you want to “read more”, a sub-page will overlay and present the proposals full list of details, executive summary, top comments, revisions, voting history, and other statistics about the proposal. This sub-page prevents the need to access more than a couple core webpages within the Site, and limits the amount of going back and forward in your browser and making it simpler to navigate. A dynamic flagging system will allow all users to moderate the forums by indicating if a proposal is inflammatory or inappropriate, a duplicate of another idea, mislabeled, or otherwise incorrect or illegitimate. The program software will backsearch all new proposals against the Site’s existing content in order to prevent multiple postings of the same problem/solution, and enabling the two authors to collaborate (if they so desire). Instead, ideas and proposals will be more collaborative and involve the participation of more than just one individual to document and detail. Potential future additions to the Website include polling questions, more intricate networking, commenting, flagging, and collaboration features, opinion profiles and questions, an interactive budget creator, and more. The program could also grown to sponsor and support networking events and “think-tank” conferences where participants would interactively examine Bills and proposed ideas. The user interface will utilize text and colors in the branding plan reflected by the If I Were President mission. It is important that the interface be correctly balanced with information and content, but not so much so that a user becomes overwhelmed by the amount of content. The core colors of the Site will be those of the American flag, which are common to the views from all established political parties (Democrats, Republicans, and Independents). The main white color reflects the transparency and clean surface of the site, a component of a good democracy. The purpose of the Site is to promote issue-based discussions, and in turn it is important to not create any visual or physical bias towards any particular party. No political ads will be allowed on the pages – only internal content will be present. The logo is easily identifiable and clearly conveys the message behind the Site’s mission. The integration of the logo into the company’s work is essential for branding purposes and logo recognition. The podium is representative of the consensus, with a standard bell-curve shape that resembles a spectrum of opinions. The purpose of direct democracy to be the consensus of the people (the ‘middle ground’). The process for trademarking the If I Were President phrase for the intended uses and copyrighting the logo began in January 2012. A patent of the concept is also being processed. Outreach for the If I Were President project will take many forms, ranging from print and online news sources to direct solicitation through mail and email. The grassroots-style platform will take advantage of existing social media programs in order to promote and advertise the content of the Website. A promotional video and outreach campaign focused on getting public attention and support will start with a simple yet unique face-to-face interaction using a chalkboard as the medium for proposing ideas. Through effective connections with media sources, political organizations, and creation of promotional videos and marketing materials spread throughout existing social media platforms, the If I Were President project will work to gain a substantial market share and percentage of participation from the population. Building an efficient campaign to gain attention from all the associated parties involves outreach in the various forms of media, all of which will be targeted and utilized in substantiating the If I Were President movement. The channels that will be used to promote and gain views to the Site will come through social media forms to individuals and direct solicitation of organizations and political officials. The social media campaign will involve the use of Twitter, Facebook, and LinkedIn connections to create a wide-reaching audience, concentrating especially on those engaged in political activities and organizations through these forms. Proper use of the social media forms is crucial to building the right audience. For this reason, the three main forms of social media will be used as such. To reach out to mass numbers of individuals and organizations for updates to the project, to recognize the highest-rated proposals, and general promotion of the Site’s content and partnerships. Twitter follow and tweet buttons will be an integral part of each page, proposal, and user’s profiles when available. A direct feed may also be seen on the home page of tweets @_IfIWere_ in order to promote the use of the Site’s twitter account and the #IfIWerePresident phrase. For similar use to Twitter, including connecting with individuals and organizations and outreach associated with the promotion of the Site’s content and partnerships. Facebook Connect will allow login with Facebook Profile information in order to make it easier for users to gain full access to all privileges of the If I Were President site. The LinkedIn network will be used to provide substantiated evidence of a users’ background and area of expertise in order to create an environment that is condusive to collaboration with ‘experts’. In this manner, authors can vet collaborators request by ‘co-authors’ to help develop the proposal by examining their work experiences. Elected officials will be contacted about the Website initiative through email contacts and also through mailed letters. The thousands of political advocacy groups from local to national scales are another source of contacts. The contact list will continually evolve to include elected officials from the local to national level, and political organizations and civic action groups from the local to national scale. The list will be used for a mailing and email updates when necessary and requested by the user. A letterhead and letters to each party/user have been developed. An embossing seal has been acquired to give the letters an additional authenticity and importance. The direct solicitation of these parties through the two forms of contact will aim to encourage at least 10% of the contacts to visit and become involved in the Site. The Massachusetts Policy and Leadership Academy Launch Party attended in early January 2012 served as a way to gain insight into how smaller advocacy groups and civic enagement participants viewed the mission of the Site and proposed content. The If I Were President concept was very well received by the founders of the Leadership Academy and by other advocates and participants present at the event. Speaker DeLeo of the House of Massachusetts has been briefed in detail about the functions of the Site and intended purpose to improve communication between the officials and public, and he was very favorable to the objective; connections such as these will prove very beneficial in working to gain the support and participation from these types of parties and organizations. The branding process for the If I Were President project is also an ongoing process. The logo, texts, and core color schemes have been identified and implemented in the program’s current outreach efforts. The logo and its various uses are simple yet contain a message that portrays the symbolism behind the purpose and mission of the program – to create a platform for promoting an individual’s voice and opinion. The core colors will be red, blue, and white to represent the american flag and national colors. An embossed seal will also be utilized on physical publications to give the documents an official and unique aesthetic value. The shape of the podium is reflective of the concept of the standard curve, representing the spectrum of public opinion. This concept relates to the collection of a sample size or population of data, where the values are spread over a wide range but the mean value presents the baseline or average ‘score’ for the sample. This model exhibits the same qualities as the If I Were President platform – to gather public opinion from all sides of an issue, and to gauge consensus on highly rated and developed proposals. In addition to letters and emails, the campaign to promote If I Were President will at first involve the implementation of a chalkboard-style promotional outreach program. A 4’x8’ branded chalkboard has been constructed that will host ideas and input from community members in an interactive style as it is wheeled around Boston, New York, and then extended to other cities across the world. Participants and interested passers-by will be drawn to the sight and quickly discover the intention of the outreach is to promote a discuss based around the open-ended statement “If I Were President…”. Interested citizens will write or draw their submissions and supporting members from the If I Were President outreach program will inform the viewers about the intention of the chalkboard and the If I Were President Website. Participants in the outreach will be rewarded with stickers and other promotional materials, in addition to having an opportunity to register and submit Bill proposals on the spot. QR codes will help push chalkboard users to the website and social media. This outreach model is also perfectly suited for use in universities and schools to generate ideas from the local to national levels. A key way to attract new users to the Site is the stipulation that a Bill Proposal will not be posted to the forum until it receives at least 5 approvals, meaning the person submitting it will have to advocate immediately and directly to their social network in order to accrue supporters. This requirement will expand the user base exponentially as the community grows. Contests will also be advertised in order to attract participation from more users. Any user can sponsor a contest and offer incentives for the winning Bill Proposals. The second phase of the web development should be completed in mid-July 2012[MS8] . The marketing and outreach program is well underway, and includes gaining a substantial base of Twitter followers, Facebook fans, and LinkedIn connections in addition to the collection of a database of organizations and civic engagement programs. Establishment of a legal entity has been completed, including a shareholder agreement and a constitution for the company. As of July 2012, If I Were President, Inc is filing for non-profit 501(c)(3) status, after filing the Chapter 180 nonprofit incorporation in Massachusetts. The future legal structure of the organization is still being discussed with legal support from Foley Hoag LLP and Jacobs Law LLC. The main components driving the success of the project are the continued development of the Website and the outreach initiatives that will create the grassroots movement. If I Were President, Inc. will utilize all available resources and in-kind/pro-bono support and connections to existing supporters to develop and promote the mission of the Site. These leveraged connections include friends and family that can assist in the creation of the content and promotion to other networks, in addition to those who can provide services for the creation of the program – be it video creation and other outreach models, business funding requests, legal council, web development and graphic design, etc. By having as much work done “in-house” by friends, family, and potential partners willing to work for equity in the company, lower overhead and upfront expenses can be realized in the creation of a more sustainable and ‘locally-created’ project. Many domain names have been acquired, including: IfIWerePresident.com/org, IfIWasPresident.com, IIWP.com. If/when facility space becomes necessary, office space will likely be leased and headquartered around Boston, MA. All outsourced work is monitored carefully for compliance with contract specifications and the details for the work as set out in each individual circumstance. All work conducted for If I Were President, Inc. will be on a contract basis in the initial phase. Graphic design work, legal services, web design and development, public outreach and marketing, and video/promo material creation have all been started. Co-Founders and friends are being networked with and leveraged in order to accomplish the bulk of the operations pro-bono. Users will be able to help improve the Site through participating in proposals about how to develop and create a more dynamic and user-friendly website. Additional input is available through direct contact (email and phone calls). If direct contact to the organization becomes substantial, dedicated representatives will be established to address consumers’ questions and concerns. A FAQ page and support section will be incorporated into the Site’s content in order to address common questions. The If I Were President core team includes members from a variety of backgrounds and areas of expertise, and informally includes a large network of like-minded individuals working towards positive social change and civic engagement. The following is a description of the core team members backgrounds and roles within the organization. Each member brings skills relevent to the different facets of the venture which fosters a diverse and experienced team with access to valuable resources and strong network relationships that will help the site evolve in every component of the business, from financial needs to web develepment and marketing projects. Daniel is an engineer and entrepreneur-at-heart, determined to create significant social change and engage citizens in civic matters in order to promote effective communication between the public and governing bodies. The If I Were President project is the first major venture that he has founded. His experience in working with similar advocacy organizations gives him insight to understanding of the needs and resources for creating an effective movement and gathering support of participants. Daniel has managed the hosting of events for Engineers Without Borders, including a 300-person workshop for the Northeast Region EWB Workshop in 2009 hosted at Northeastern. Additionally, he has significant experience as a project manager, both for Engineers Without Borders, Civil Engineering Capstone Project, and at the Center for STEM Education (Science, Technology, Engineering and Math) at Northeastern. His role as Executive Director encompasses the overall model of the Site and business development, and the management of each component of the project. Daniel’s experience in outreach efforts will be helpful in the establishment of an effecive outreach including with organizations and school programs. Networking and establishing contacts and partnerships is a main component of this position, and his experience in this function will enable strong relationships with partner organizations and individuals. Mark is a Finance and Accounting Analyst with The Boston Consulting Group. He has also worked with Fidelity Investments and Lexington Insurance as an Operations Analyst, and has a BSBA in Finance and Accounting from Northeastern University in 2011. Mark has provided financial oversight and tracked expenses and projected revenues for the organization. He has also produced investor outreach documentation and financial planning support for pitch presentations and budget reports. Joe is a Northeastern Univesity Marketing graduate, currently engaged in civic engagement and advocacy for the American Civil Liberties Union as a director of operations for their campaigning programs. His direct experience in outreach and promotion will serve the needs to engage public interest. Joe is working to increase the program’s social media presence on Facebook and Twitter by establishing more viewers and participants. He is also undertaking the role of establishing a database of organizations and politicians that will be contacted near the release of the first phase of the Site. Rusty is a NU Business graduate currently working on financial support and funding establishment outreach for the If I Were President project. Rusty is seeking to leverage networking contacts with potential investors and loan agencies that will be able to sustainably support the development of the Site. He has prior experience in financial aqcuisition and funding campaigns, and has the associated skills that will be essential in providing firm financial support for If I Were President, Inc.
Molly is a Human Performance Analyst with Accenture. She is experienced in Organization Development and training. Molly Sullivan earned her M.A. in Social-Organizational Psychology from Columbia University and holds a B.A. in Psychology and Philosophy from the University of Mary Washington. Her role as Organizational Director involves developing the business structuring and operational processes. Molly integrates the many facets of the business by communicating and delivering the required information for each project – from outreach efforts to video production tasks. Alex is the director for the If I Were President film projects and is facilitating the development of the outreach videos for the Website. Alex has significant prior experience in the production of creative videos and ads that are eye-catching and effective marketing tools. His creative vision and expertise will aid in the creation of a several promotional videos and media for outreach. Mentors for If I Were President include experienced industry experts from a variety of backgrounds. The current President of a $300 million Investment Capital firm serves as an advisor to the project and has aided in the development of the business plan and model since its inception. A key contact with the Congressional Management Foundation may also serve greatly beneficial in the extended research involved in monitoring the program. Legal representation and pro-bono consultants have provided assistance to the program, including its transition to a non-profit organization. For confidentiality purposes, their names are not included. Several Professors from Northeastern University’s Computer Science Department, Political Science Department, the School of Public Policy and Urban Affairs and School of Law have been actively involved in the development of the plan and identifying particular functionalities and components for integrating into the program. The continued support from the Northeastern University faculty community will provide a strong backing of experienced mentors from a variety of professions and backgrounds, and also enables effective student support partnerships to be formed more easily. For confidentiality purposes, their names are not included. Local advocacy group leaders and politically-active community members and organizers are among the main proponents for the platform, and the input from seasoned advocates and leaders is essential to creating a platform that will be useful for such organizations. The staff of If I Were President is working closely with several leaders from small to large-scale organizations to identify how If I Were President can address advocacy goals. For confidentiality purposes, their names are not included. Additional partners include political organizations and civic engagement programs. Each of these programs and organizations brings more members and interest to the Site, and will promote the causes for the organization while simultaneously promoting the If I Were President project. Some potential future partners identified to date include: POPVOX, Publicyte, Opportunity Nation, Sunlight Foundation, OpenSociety, Congressional Management Foundation, and Pollster, Show of Hands, with more identified every day. September 2012 – Initial Board Meeting for IIWP, Inc. The outreach and marketing plan involves the use of several large rolling chalkboard, as described previously. Additionally, the needs and services provided by the platform will be showcased in a promotional video that is currently being developed. In September. letters and emails to organizations and politicians, and social media marketing will begin in order to promote the use of the platform. Promotional materials (flyers, stickers, shirts, etc.) may also be utilized at this time in order to enhance the reach of the program. The physical letters to politicians and political organizations will require a nominal amount of capital for printing and mailing services, an average of less than $1 per contact. Email requests to these parties will be a free system for attracting a wide-reaching audience of organizations and elected officials, especially on the more local level. The production of the video and the mail outreach services represent a significant component of the outreach model. The marketing and outreach are a constant component of the project just as the development of the Site is an ongoing process. The outreach and marketing plans to reach an estimated 10,000 organizations and elected officials through direct mail and over 100,000 through email and social media platforms in the year to come. Initial investments of approximately $50,000 have been made in the organization in order to secure domain names, incorporate a placeholder company and nonprofit entity, create the site layout and several iterations of designs, and execute the web development. Many of the expenses already incurred are sunk costs, and will not be required in the future (namely domain names, incorporation expenses, and previous web development). Moving forward, variable expenses make up the majority of the budget and depend on the success of the revenue models. These variable expenses include the continued website development, web and office services, and grassroots campaigning efforts. The long-term financial stability of the organization is ensured by linking the variable costs with the rate of income generated for both short and long term periods, an iterative task that will begin when the organization initiates the first fundraising push in August and September of 2012. There are currently three main sources of revenue for If I Were President, Inc. and the IIWP, Inc. 501(C)(3) non-profit organization that will help to achieve financial sustainability. Operating as a non-profit organization, the traditional grassroots marketing and outreach model will be implemented in streets and public areas across the nation using the chalkboard platform (as described in the Go-To-Market section). This first source of revenue will be the main funding in the preliminary stages of the organization’s development, while the user base is still growing and is relatively ‘close to home’. In addition to grassroots fundraising, the organization will support contests/policy campaigns on the platform, where users can sponsor a “call for proposals” to solve particular problems in their communities. The most potent revenue generator will be the internal ad system which will promote users’ Bills on the website. The combination of these three sources of revenue will cover the operating expenses of the organization and also allow for growth and increased development and outreach efforts. In the beginning phases of implementation of the project, the grassroots chalkboard fundraising and “friends and family” funding campaign will be the main source of revenue. As the user base grows over 2012 and 2013, the contests campaigns and internal ad system will be more highly utilized by the communities. The internal ad system works as follows: the top spot on each page will be available for sponsorship, right above the most highly rated Bill – mimicing that of a Google or Ebay ad. These Bills will be sponsored by any user who wants to ‘advocate’ within the Website for a Bill in order to gain more attention and participation. Based on the supply and demand for advertising space (higher on national/lower at the community level, higher on hot topics, etc. ), there will be a calculated rate at how often the sponsorsed Bill will be shown. For example, if 100 people advocate for Bills with the key word Boston, each will show up 1/100 times Boston is searched for. The fixed sponsorship rate (either $1 or $10 per sponsorship) will prevent large organizations or wealthy individuals from having dominant control over the system. A cap of 1 sponsorship per proposal per week (or less depending on turnover) will also be enforced to prevent the repeated posting of proposals. The specific functions of this internal ad system are subject to change, and will respond to user feedback and interaction as the system is tested. If the program successfully gains traction during the 2012 Elections, as many as 50 sponsored Bills per day by the end of 2012 could be anticipated, which would allow for much greater re-investment into the organization and further outreach in the form of workshops and conferences. The option to sponsor a proposal will be available on hundreds of pages – for each issue, for each city and state, for each politician, and more. If the site generates a large community of users from the local to national levels, there could be sponsorship of Bills on hundreds of pages per day. Frequent users and sponsors of ideas will receive rewards for their participation and funding of the program (separate from the rewards/recognition program for input provided in the support and development of proposals). The other main sources of revenue include sponsoring of Contests, which can be initiated by any user wishing to solicit proposals for a specific function or issue. This “call for proposals” will enable users to attract various ideas and proposals for problems in their communities, states, or nations. For a fixed rate (depending on the scale – local, state, or national), a user can initiate a Contest and send out requests to their community to participate in developing solutions to the problem. This model can be scaled down to schools and municipalities, and also closed to specific users or groups in order to create communities responsible for addressing and participating in the Contests. By doing this, a school, municipality, organization, or any user group can define an issue and solicit constructive feedback and ideas for addressing the problem they have defined. Other revenue streams include direct donations, grants, fundraising events, and hosting workshops and conferences. Investment in If I Were President. Inc. is currently being sought in order to grow the business model and implement a large outreach program. Daniel Allan Sullivan | Powered by Mantra & WordPress.